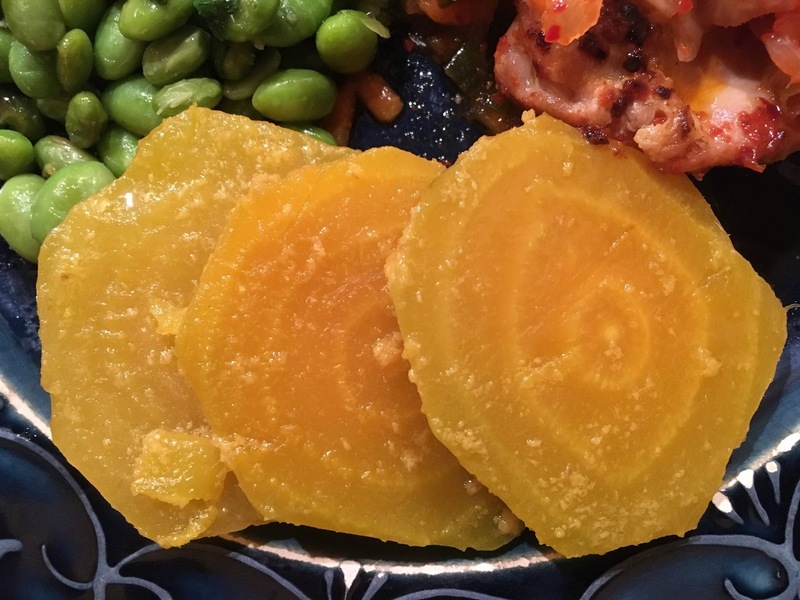 Add some color and flavor to your holiday table this weekend with these ginger orange beets. Peel and cut your beets into quarter inch slices then steam, roast, or boil until tender. While fresh beets are always better, if you’re short on time you could substitute cooked frozen beets. For a pound of beets, whisk together a teaspoon of minced ginger, the juice of an orange, a splash of cider vinegar, a drizzle of honey, a few tablespoons of extra virgin olive oil, and salt and pepper to taste. Toss the beets with the vinaigrette and garnish with some orange zest. They can be served warm, or at room temperature.